Manufacturer of a wide range of products which include kremies cream biscuit, cream cracker biscuit and kremies orange cream biscuit. 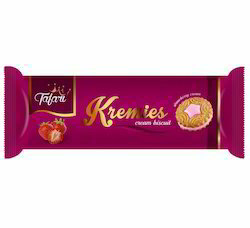 In our wide range of products, we are also offering our clients a supreme grade variety of Kremies Cream Biscuit. The offered biscuit is hygienically prepared using the quality-assured food ingredients and best techniques by our skilled professionals. Additionally, this biscuit is tested against various quality parameters under the vigilance of quality conscious food experts to provide a flawless quality to our valued clients. 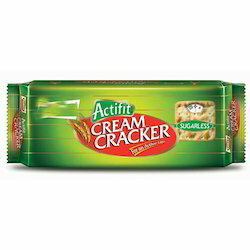 We have earned quite repute by supplying the premium range of Cream Cracker Biscuit. The biscuits are widely appreciated for their taste and richness. They are available in a variety of flavors and are offered ate very convenient prices. The products are very much appreciated for their quality air tight packaging and longer shelf life. 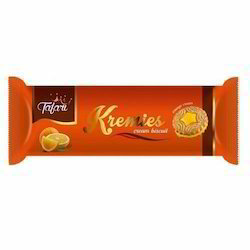 We are engaged in offering a wide range of Kremies Orange Cream Biscuit. These biscuits are processed using top quality fresh ingredients and rich quality fresh mangoes. Our biscuits are available in all standard sized packaging following the demands of clients. We ensure crunchiness and rich quality of these biscuits.